The “Big Game” targeting segment allows advertisers to reach people specifically based on real-time online discussions related to the Super Bowl. According to the announcement, the segment will go much further than simply targeting football fans. The “Big Game” segment will also include those liking, commenting, and sharing content related to party planning, recipes, or even flatscreen TV purchases in the days leading up to XLIX. The targeting tool is also designed to be updated frequently, so that ads will be directed based on up-to-date information. The new tool is a change of strategy for Facebook, who used interests and liked pages to target ads last year. According to the social media platform, combining ads with live sporting events is a highly effective strategy for reaching specific targeted demographics. For example, it cites a cross-platform Nielsen study that analyzed at a Microsoft commercial that was shown during the 2014 Super Bowl and found Microsoft was able to reach 35% of persons 18 to 49 in the United States during a four-day run of the TV spot. Using Facebook ads during this campaign allowed Microsoft to extend that reach to 57% of the national target of people 18-49. Among the younger 21 to 24-year-old audience, Microsoft more than doubled its reach, extending its TV reach of 24% to a combined TV-plus-Facebook reach of 53%.3. 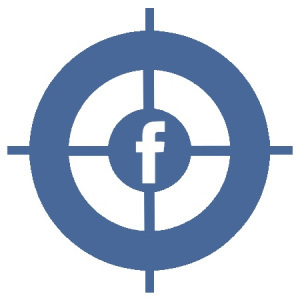 The new targeting segment is available starting today for all advertisers. It can be found in the Facebook ads interface within the “Behaviors” section, under the “Seasonal and Events” category.